Seattle, WA – September 24, 2018 – Northwest Film Forum (NWFF) announced today that Vivian Hua (華婷婷) has been appointed as its new Executive Director. Hua joined the NWFF team in 2017, after organizing The Seventh Art Stand, a national civil rights film and discussion series co-founded by Hua, NWFF and film distributor Abramorama, in response to the first Travel Ban. In addition to leading design and marketing initiatives, Hua has produced numerous community programs at NWFF that center equity, collective action, and coalition-building. As Executive Director, she will oversee the strategic direction and vision of the organization, working closely with Managing Director Christopher Day and newly appointed Artistic Director Rana San, who previously served as Community Programmer. A writer, filmmaker, and organizer, Hua is also the Editor-in-Chief of REDEFINE, a socially-conscious, long-form music and arts publication she founded in 2004. Searching Skies, her 2017 narrative short film about a Syrian refugee family’s complex experience resettling in the United States, has been used as an educational tool and screened at film festivals across the country. 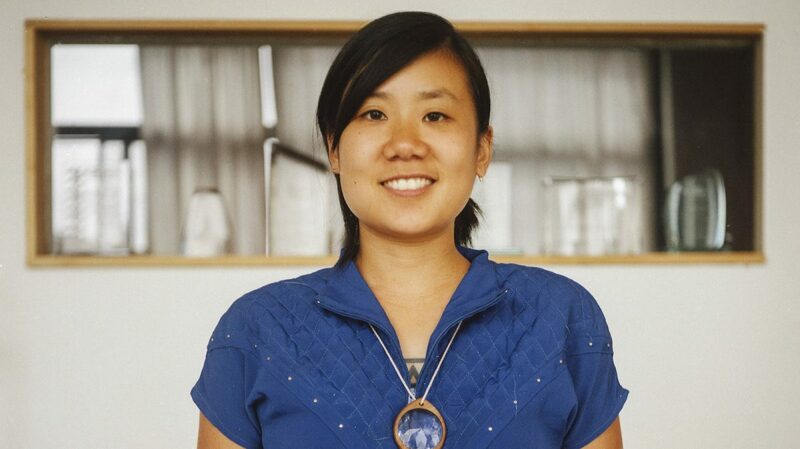 Hua came to NWFF from her previous role as the Communications Manager for ICANNWiki, a nonprofit resource dedicated to global issues in internet governance, and has served as a Graphic Designer for the University of Washington’s Experimental Education Unit for well over a decade. She studied Directing through UCLA Extension Entertainment Studies, and holds a BA from the University of Washington in Sociology: Law, Societies & Justice. As Design Lead for NWFF, Hua refreshed the organization’s visual identity and helped diversify community outreach efforts. She spearheaded public discussions around housing and cultural space preservation, and deepened partnerships with organizations like the Seattle Globalist, Shelf Life Projects, and the Council on American-Islamic Relations (CAIR-WA). She serves as the NWFF representative on the Capitol Hill Arts District Steering Committee. Hua takes the reins in a time of positive momentum for NWFF, marked by a record-breaking year for box office, program attendance, and fundraising. Founded in 1995 as a filmmaker’s collective, NWFF’s mission is to incite public dialogue and creative action through collective cinematic experiences. The organization’s national presence includes ongoing installments of The Seventh Art Stand, a showcase on the Criterion Channel on FilmStruck, and leadership in Alliance for Action, a national working group for equity issues in art house theaters. The announcement comes during the 21st Local Sightings Film Festival, Seattle’s only festival dedicated to Pacific Northwest films and filmmakers. This year’s edition features nearly 100 films and 20 world premieres. On Thursday, September 27th, Sheehan will symbolically pass the torch to Hua during “2 Weeks Notice,” a party and “farewell fund-rager.” The event is open to the public, at Fred Wildlife Refuge in Capitol Hill from 7-11pm.